Operators and accountants can efficiently manage the end-to-end voyage accounting processes by integrating the DA-Desk System with their voyage management system (VMS). This integration allows the shipping company to control every aspect of the voyage with ease—from agent nomination through to balance settlements and voyage closing. One key benefit of deep integration is that it bridges the gap between the VMS and the port call management system. In addition to updating the pro-forma and final port costs, the Operator can create or cancel port calls, update ETAs in the VMS and these actions will be reflected automatically within the DA-Desk System without having to make additional entries. DA-Desk’s disbursement account processing service, PortSpend Management®, helps to manage instances of overfunding and labor-intensive tasks can be automated and managed. Information relating to decision making, cost management and cost control is available online 24/7 and only limited manual input is required. The DA-Desk System improves the efficiency of disbursements and puts the Vessel Operators completely in charge. 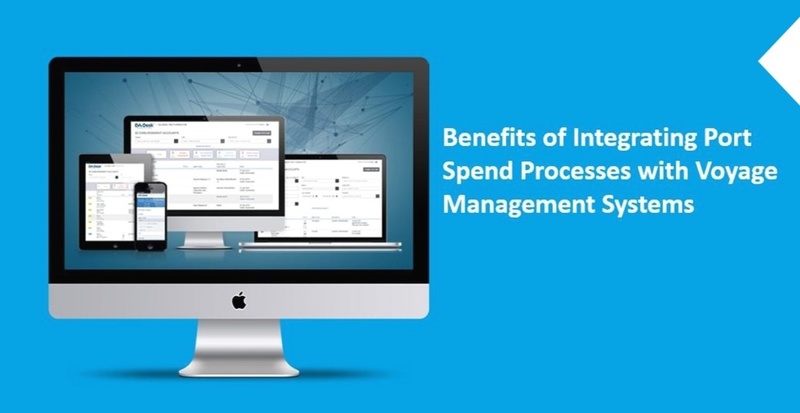 This allows the Operator to monitor disbursements, verify costs, manage documentation and rebilling and process and review port call expenditures effortlessly. In addition, billing for cancelled port calls will be recognized and avoided. DA-Desk payment processing services, PortPayables®, also allows the Operator to benefit from competitive exchange rates and banking terms for agent and supplier payments. - Clear basis for recovery of funds from overfunding. For more information about how we can work in partnership with you and the services we offer, please download our e-book.